Nowadays one of the main focusing attention is on social media communication and the world of museum is starting to get involved into it. Despite a little hesitation by some cultural environments to introduce social media for strategic communication, many international cultural institutions are so beginning to use them and understand how powerful tools they are for advertising. Creation and exchange of contents are consolidating around two strategic axes. In order to make them clear, we have taken as example the great Louvre museum in Paris, where there are loads of exchanges, communications and sharing of information. We take a deeper dive into the matter by making some recent examples. Inside the Louvre, pictures (noticeably taken without flash unit) are welcome, as guaranteed by Tous-photographes, the official document send out by the Ministère de la Culture et de la Communication (French Department of Culture and Communication) in July 2014, containing the best public procedure as a matter of photography and videos of museums and monuments, a sort of guidelines which each national museum institution within the French territory should take into consideration. Sharing of contents is subdivided into two lines: one following materials posted on line by the press offices of the museums themselves, and the other one joining contributions (spontaneous or motivated) from users and visitors. An example of the first type of content is represented by the official twitter account @MuseeLouvre which on March 27, 2015 – 18:14) counts 5399 twits, 1.813 294000 285.000 followers and a remarkable klout score of 81, gained with particular hashtags, targeted communication and some irresistible appointments like the “Artwork of the day”. In pole position even during #MuseumWeek 2015, communities managers have spotlighted the Winged Victory of Samothrace, visible again after months of restoration. In addition, the Facebook page of the museum is much appreciated, as shown by the seven stars, 1.628.937 likes and 383.030 visits (figures dated March 27, 2015 at 18:04). Even the public is egged on to interact and visitors encouraged to share their cultural experience with family and friends on Google+, Flickr, DailyMotion, Vine, Bobler, Pinterest and Instagram. Even in France mores and regulations evolves constantly, like in the recent episode between the French Minister of Culture and Communication Fleur Pellerin. During a visit to a famous museum in Paris, she took the opportunity to share on her’s Instagram account pictures taken at the opening of the exhibition “Bonnard. Peindre the Arcadie”, making a lot of noise. The event revealed a contradiction between the inner Musée d’Orsay regulation and the guaranties of the Ministry Charter. Because of reduced spaces, visitors could not take any pictures, but the repeal of the Minister pushed the Orsay Museum to assimilate the official document. This was a great change for freedom supported by Bernard Hasquenoph of the Louvre pour tous Blog, a real point of reference in terms of information on museums & Co.
What do Femen mean in this matter? They are actually trotted out for some viral content related to museums. 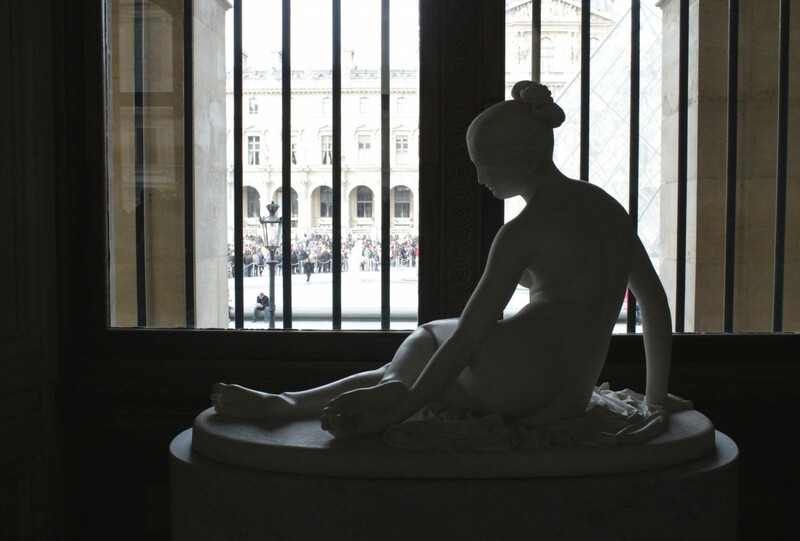 Their performance of October 3, 2012, in the middle of the Louvre, in front of the Venus de Milo, was highly relaunched on social networks and it is considered as one example of the drifts between exhibitionism and viral culture. The same issue for “The Origin of the World”, the famous painting by Gustave Courbet at the Musée d’Orsay. The painting is actually the reason of a scandal, accusing Facebook of having suppressed a French user’s profile showing the famous artwork. Topics like these make people discuss and at the same time, motivate further exchanges in the community, in a virtuous or vicious circle, depending on your point of view.